Product prices and availability are accurate as of 2019-04-19 01:50:59 UTC and are subject to change. Any price and availability information displayed on http://www.amazon.com/ at the time of purchase will apply to the purchase of this product. 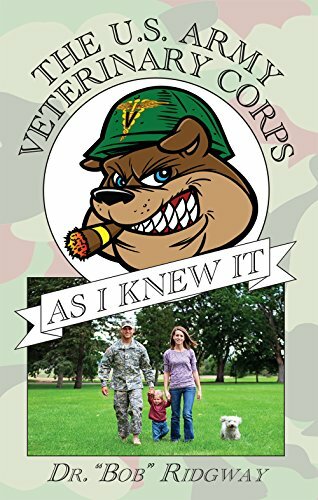 Author Bookstand is proud to offer The US Army Veterinary Corps As I Knew It by Bookstand Publishing. Bookstand Publishing offers books by the best indie authors throughout North America and the world. Bookstand Publishing is dedicated to offering original content to a broad audience and promoting great authors, literacy, and freedom of expression. The US Army Veterinary Corps As I Knew It has generated a lot of interest and excitement and we think it would be an excellent addition to your library. Robert "Dr. Bob" Ridgway graduated from Kansas State University, College of Veterinary Medicine, and completed a residency in Internal Medicine at the University of California-Davis. After graduating from Veterinary College, he worked for a short period of time at a veterinary hospital in Topeka, Kansas. He entered the U.S. Army Veterinary Corps, where he became Director of the Animal Medicine Division on Okinawa. He later completed a residency in Comparative Medicine at the Madigan Army Medical Center. He is a graduate of Officer Candidate School at Fort Sill, Oklahoma, and a graduate of the U.S. Army Command and General Staff College. He was the Treasurer of the District of Columbia Academy of Veterinary Medicine for fourteen years. He served as Secretary-Treasurer and President of the District of Columbia Veterinary Medical Association. He was the first U.S. Army officer to be in charge of the Department of Defense Military Dog Veterinary Service at Lackland Air Force Base in San Antonio, Texas. He completed a Master's in International Management at the University of Maryland, University College. After retiring from the Army, he worked at Covance Laboratories, Banfield Pet Hospital, and Orange County Animal Services in Orlando, Florida. 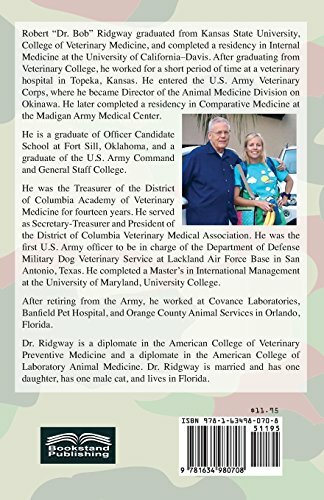 Dr. Ridgway is a diplomate in the American College of Veterinary Preventive Medicine and a diplomate in the American College of Laboratory Animal Medicine. Dr. Ridgway is married and has one daughter, has one male cat, and lives in Florida.